Recently I went to a local bike shop and purchased some pedal extenders. They had 3 different lengths (20, 25 & 30 mm) and I didn’t know which one to get. I opted for the 25 mm. They told me I can bring them back to exchange for one of the others if I determined I need a different length. I got home and installed them. Wow, what a difference they made. My knee joints definitely feel better. However, I think I only need the shortest length ones so I will be taking them back to exchange them. Ironically when I went there the shortest length ones are what I had in mind to get as I thought the 20mm (just over 3/4 inch) was the only size available. Just to help those of us unfamiliar with the metric system the 25 mm is just under 1 inch and the 30 mm is just under 1 1/8 inches. Anyway, I am looking forward to getting the shorter ones and riding with them.I am quite hopeful that they will be quite helpful in making a difference as I ride. Right now in the midst of another nasty winter my outdoor riding isn’t happening. 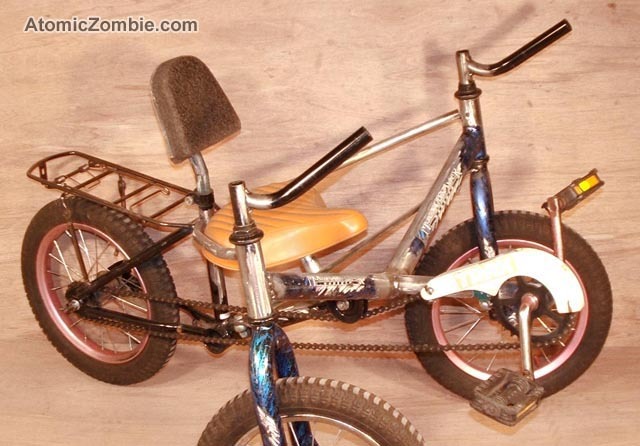 Instead I have my trike indoors set up on a trainer. It is not the same as riding outdoors. Post Script: I just took my 25 mm pedal extenders back to the LBS (local bike shop) to exchange them for the 20 mm size. While there I talked to the technician who told me that just adding a washer (or two or three) to a pedal makes a big difference … that our bodies are that sensitive. He said that sometimes only one side needs to be spaced out … and sometimes one side needs to be spaced out farther than the other side. FAT TAD – HOW QUAINT! I love that name … FAT TAD … how quaint! The word quaint has various meanings. One of them is: “strange, peculiar, or unusual in an interesting, pleasing, or amusing way”. And that is the meaning here. 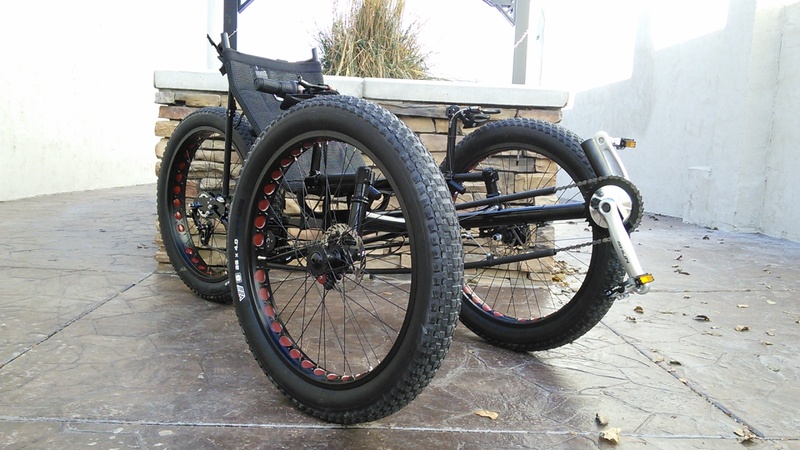 ICE trikes has their fat tad they have come out with recently, but Utah Trikes has been custom making various versions of them for several years now. Of course, they are probably best known for their quads. 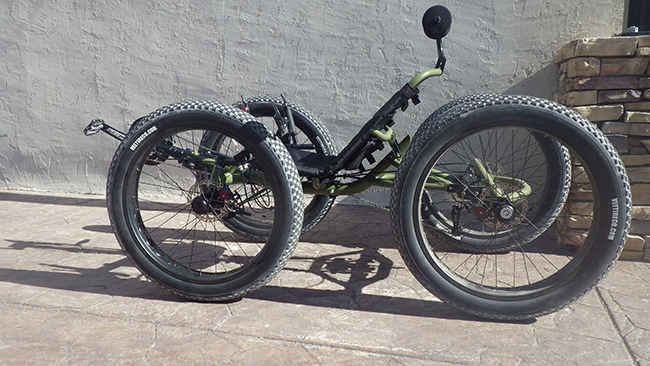 These go anywhere trikes are in demand so they now offer their “FAT TAD CRAWLER”. 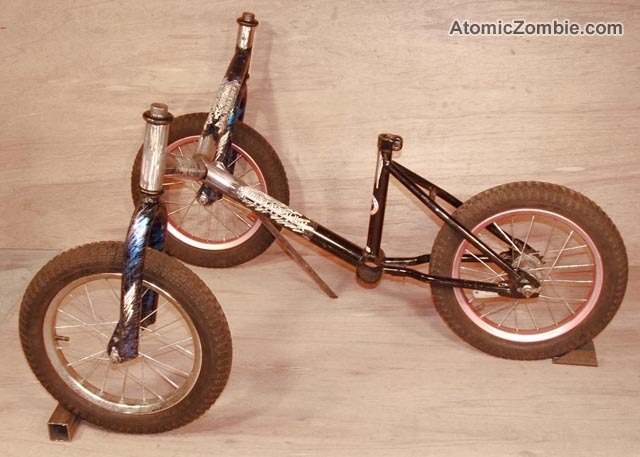 When I first saw a picture of it I wondered what brand of trike it is. 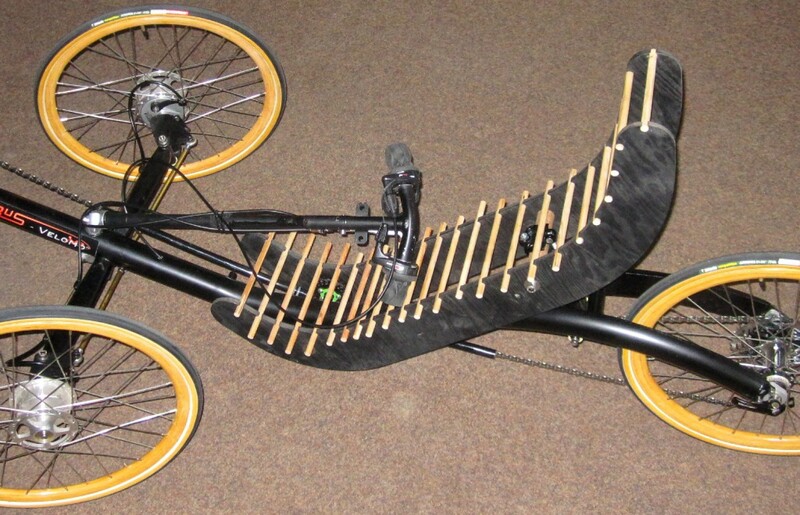 Since much of it doesn’t look like a trike I readily recognized I asked them. 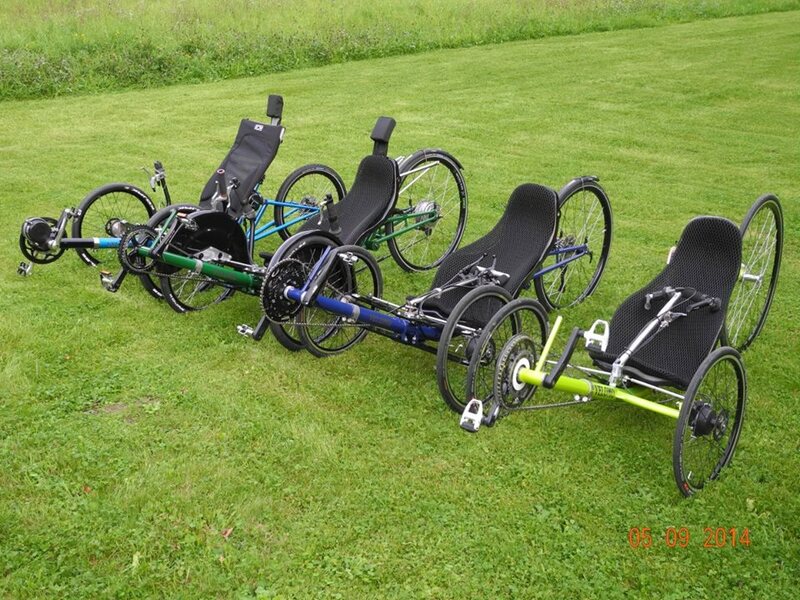 Here is what they said … they use the Sun EZ tadpole trike frame and they use their own seat, handlebars, rear end and wheels. With 26 inch tires 4 inches wide and “a pressure range of 8 psi to 20 psi you can choose a super soft ride with LOTS of traction, or fill ’em up for fast road speeds. 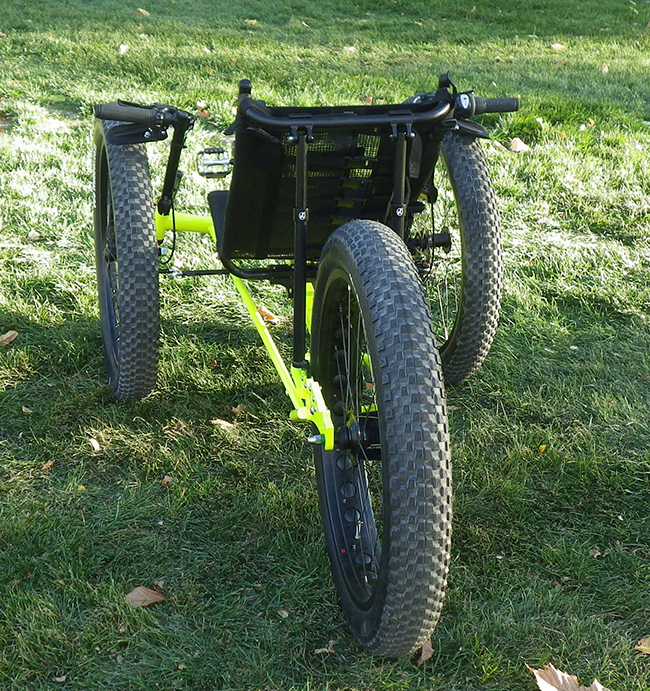 Don’t let the knobby-looking tread fool you, this trike is fast on the roads as well as out in the dirt” (their description in quotes). 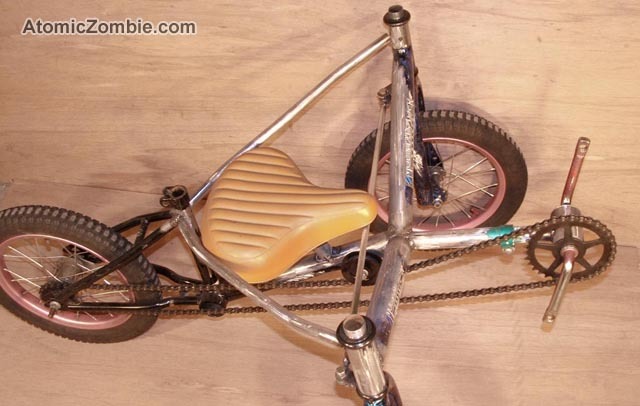 This trike comes stock with a Shimano Alfine 8 speed internal hub. 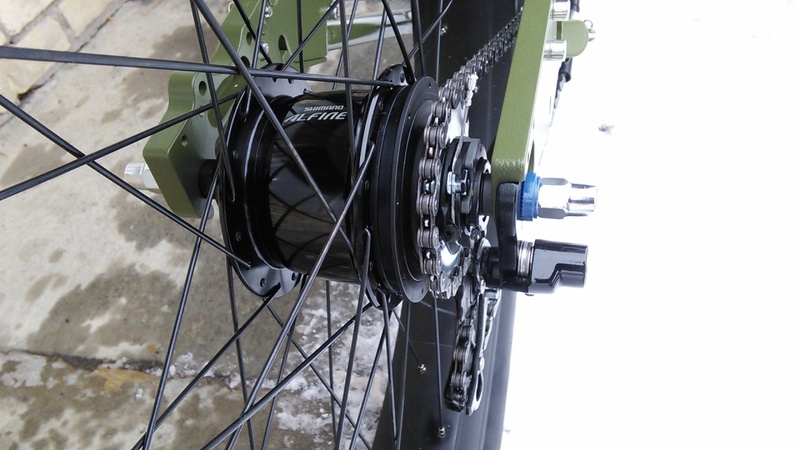 Optional for additional charge are NuVinci 360 CVP hub ($95) or Rohloff 14 speed internal hub ($1405). My choice would be the NuVinci 360. 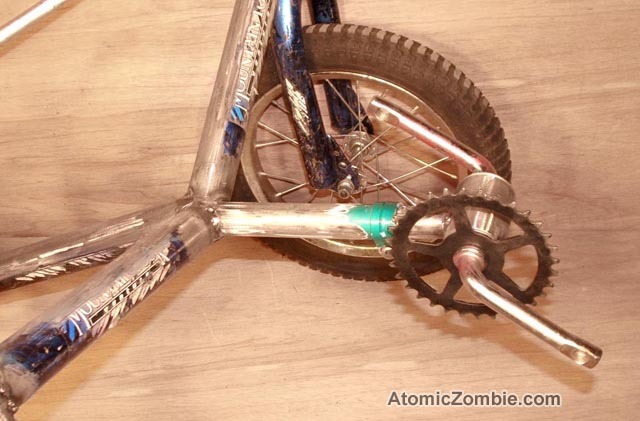 It comes stock with a 32 tooth sprocket up front, but there are two options available shown. There are lots of other custom options available you can order. 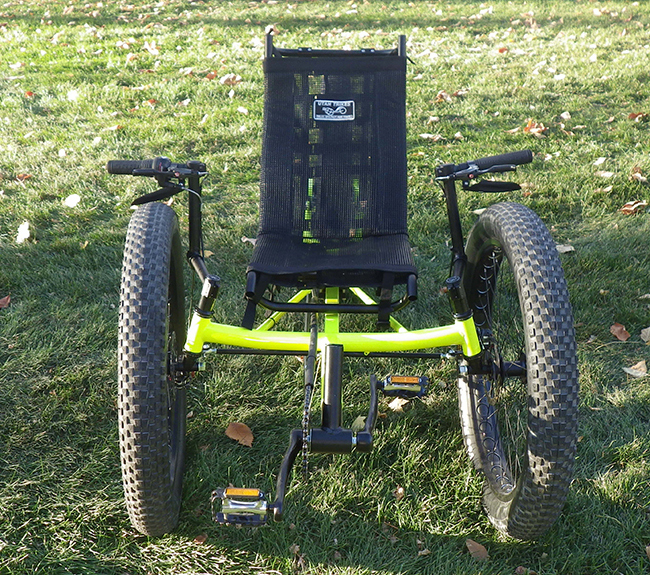 It is my understanding that Utah Trikes does not charge anything extra for installation of these purchased options as long as you order them when they are building the trike they will be shipping to you. 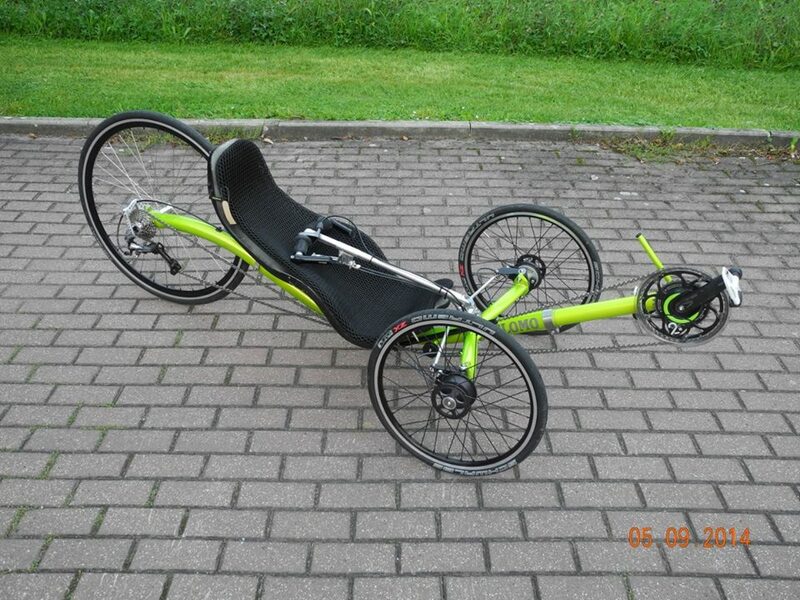 Right now they are offering this base $3000 trike for $2599. 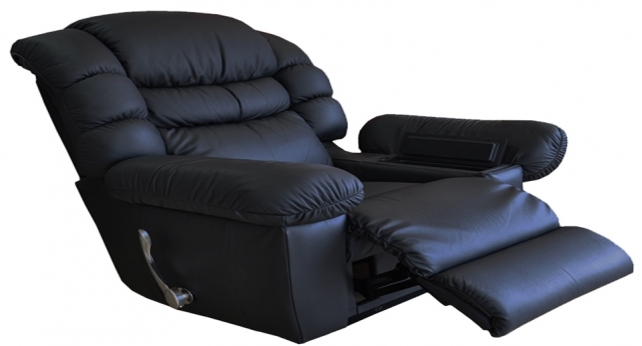 There is also the Schlumpf 27T/68 high speed drive available for $769 extra. 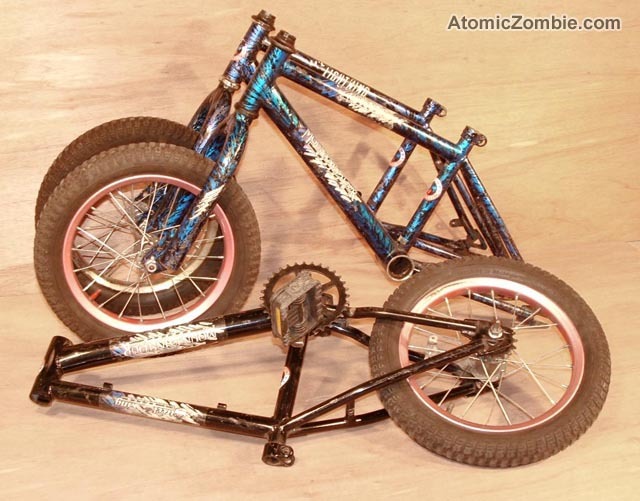 One thing I have noticed is none of these fat trikes have fenders nor are they being made available at this point in time. 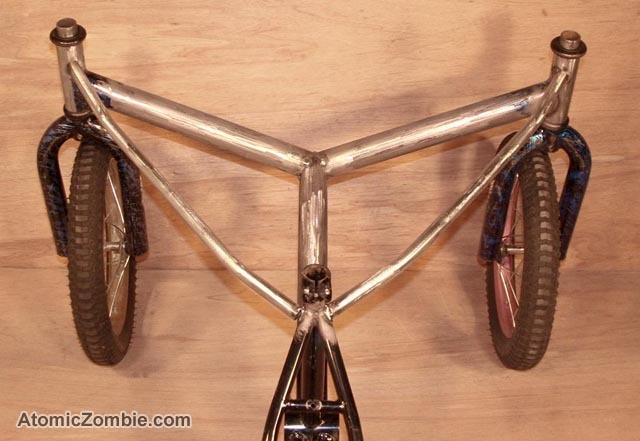 If I had one I would most definitely want fenders on it. I don’t care to ride any kind of a cycle without fenders as I don’t like getting all slopped up with who knows what flying off of the tires. 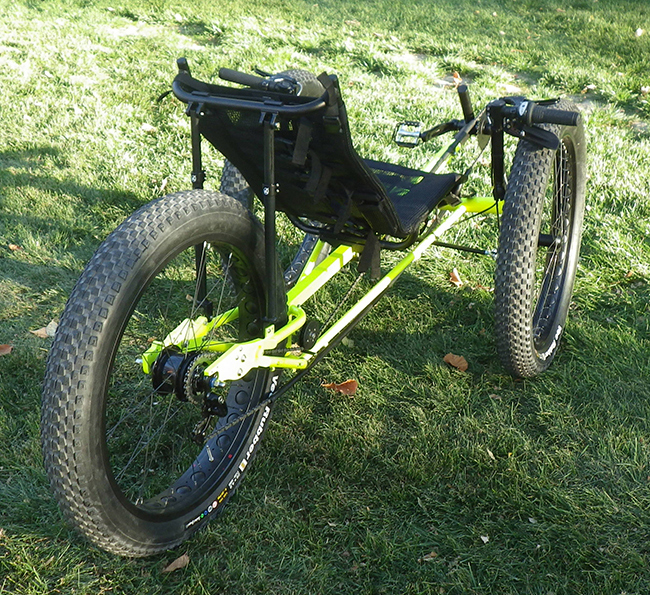 Other manufacturers (TerraTrike, Azub, and Sun Seekers) have come out with a prototype of a Fat Trike which look interesting, but thus far they are not in production and available for purchase at the time of this writing. Having ridden my stock Catrike Trail off road several times I can tell you that a standard tadpole trike doesn’t do very well off road. 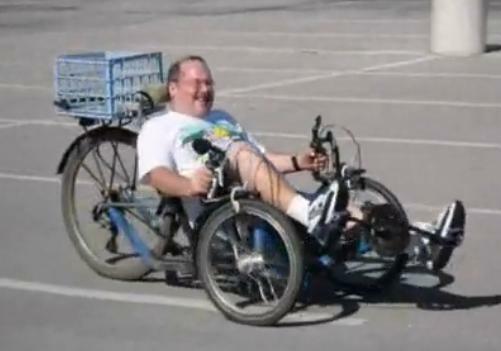 I have never ridden a Fat Trike, but watching the videos of them they obviously do much much better and look like they would be a lot of fun. I used to do a lot of off road motorcycling and always loved doing so. 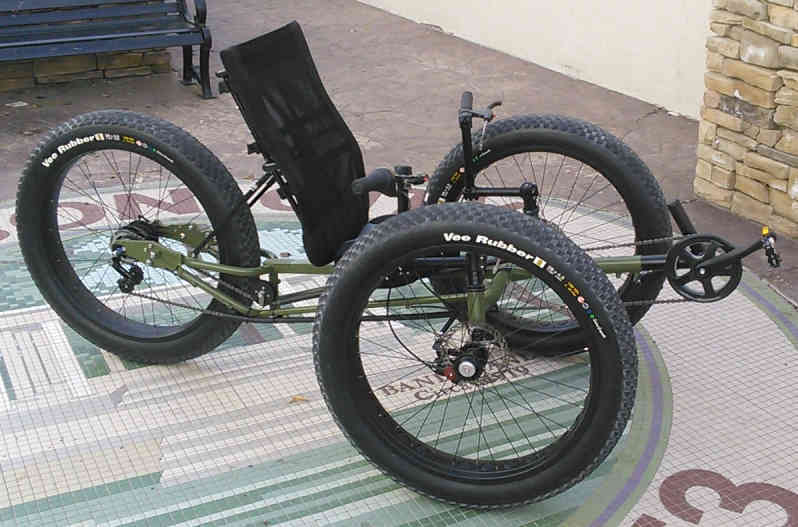 I think I would really enjoy riding a Fat Trike off road. But alas, it is quite doubtful that it will ever happen. 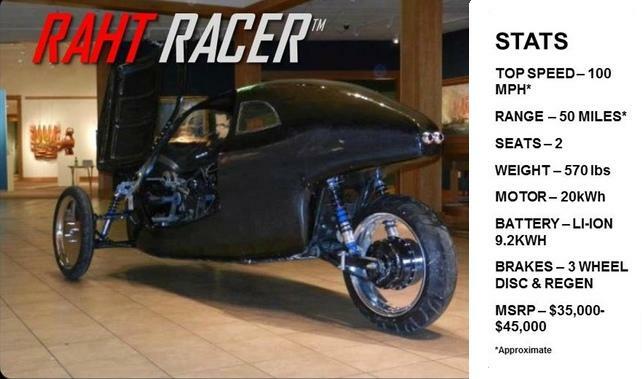 RAHT RACER – WOULD YOU BELIEVE? 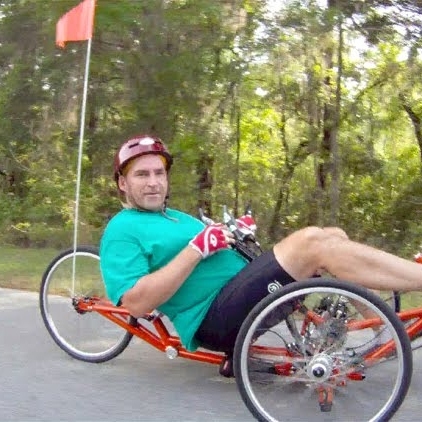 I recently discovered this human powered vehicle thru a posting on Facebook. It looks quite interesting. 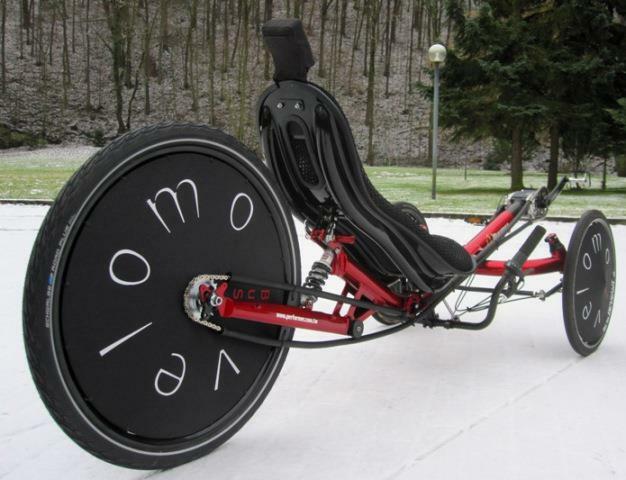 It is pretty hard to imagine pedaling along at 100 mph. It is not in production or available to purchase at this point in time. Right now they are involved in a Kickstarter startup program trying to raise $75,000 in hopes they can go into production and sales. 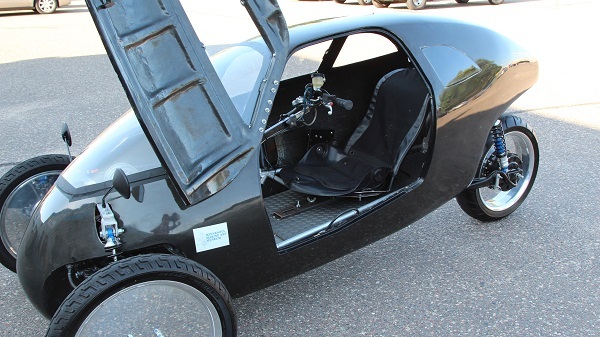 RAHT is an abbreviation for “recumbent automotive human transport.” Seat belts, air bag, roll bar, GPS terrain sensing … it’s got it all. There is room enough inside to haul bunches of stuff and much more safely than trying to transport it on a bicycle. 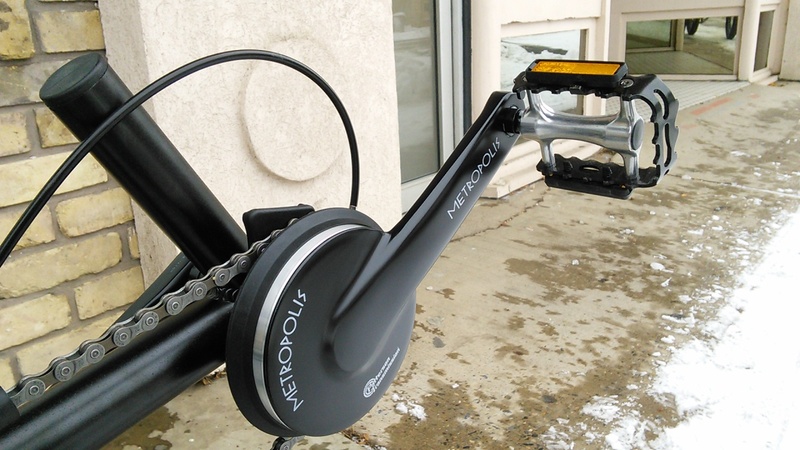 It has a 20-kWh electric motor located in the rear wheel hub and a 9.2-kWh li-ion battery pack which can be charged from a standard 110 volt wall outlet when not being ridden. 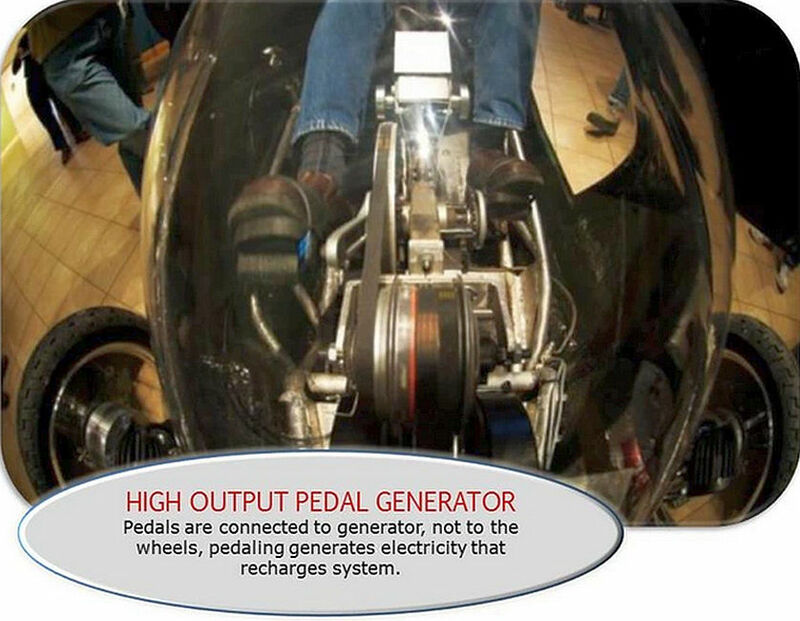 This machine has HIGH SPEED PEDAL AMPLIFICATION … the system senses the pedal torque of the rider and boosts/amplifies it. The vehicle responds with sports-car acceleration and speed. 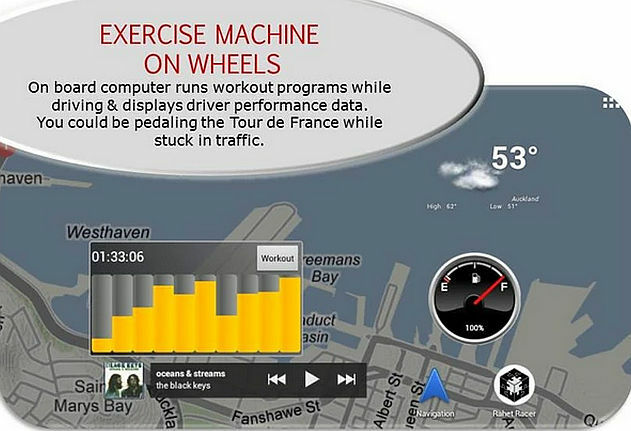 If I understand this correctly it is saying that the harder you pedal the faster you will accelerate. One thing I haven’t read about is whether or not it has a heater and defogger/defroster. I don’t see any windshield wiper either. It has a range of about 50 miles if used on throttle only mode (no pedaling to charge battery pack). 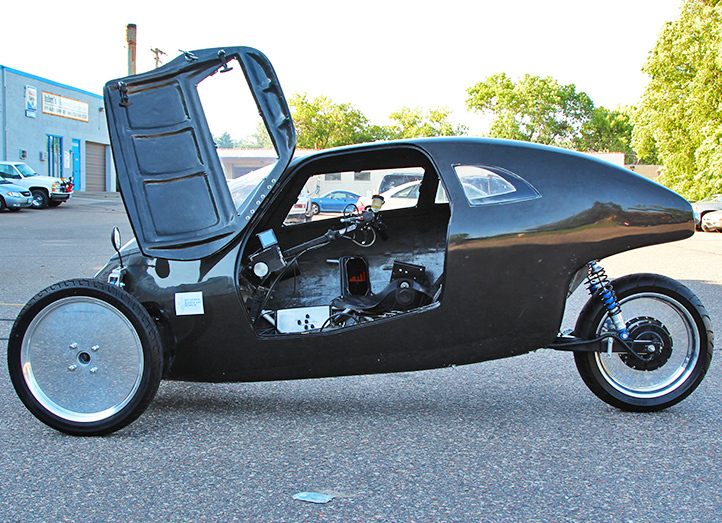 Even that is impressive compared to most electric motorized trikes. They have a Facebook page. On their FB page they call it “RAHT Mobile”. 🙂 Do you suppose we might spot Eric VonZipper sitting inside one of these? After all he he the leader of the Rats, ya know. 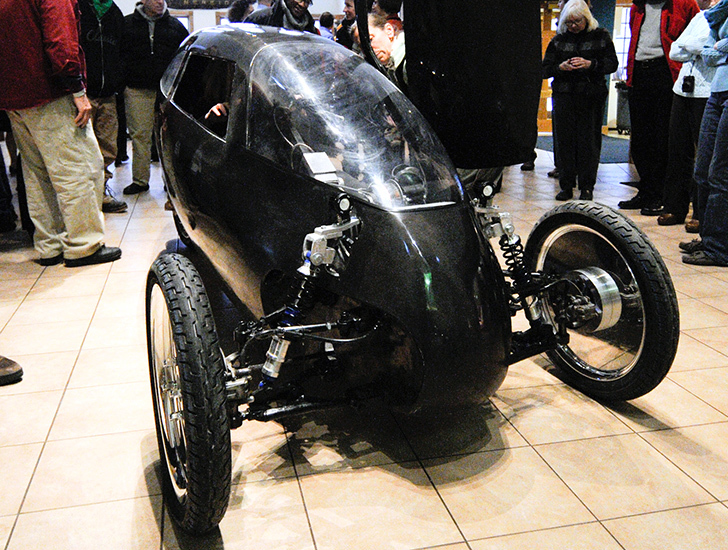 Here is the GIZMAG ariticle on the Raht Racer. And HERE is another article found online. It has been said that life on planet earth has become a “rat race” for many of it’s inhabitants. 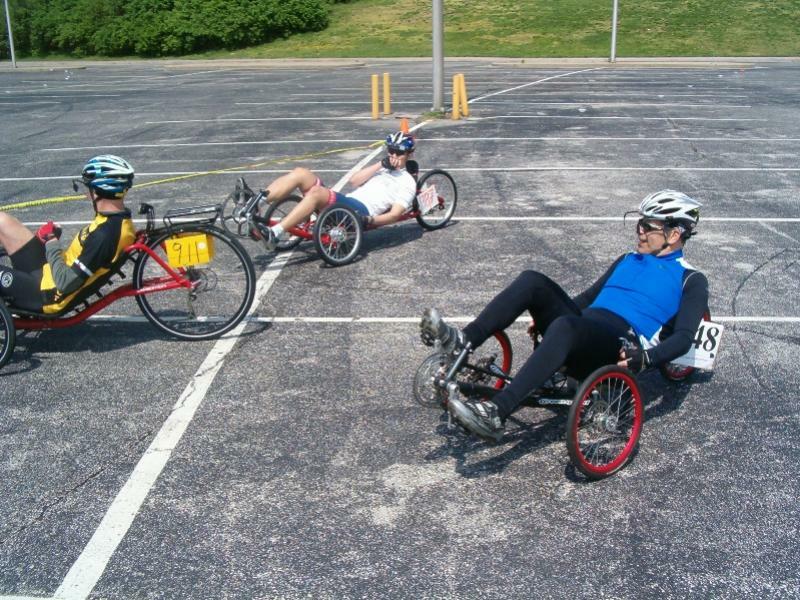 Perhaps sitting inside one of these RAHT Racers pedaling away would help cope with life as we know it. Hey, if you are going to be caught up in a rat race you might as well be in a raht mobile. As I sit here typing this it is snowing again outside. Being stuck indoors thru another nasty winter unable to go riding outdoors I am envious of those who can ride at this time of year. So sometimes I watch others ride on videos posted online. Here is one I came across which I think looks very inviting. One of things I noticed as I watched this is safety flags. This is a subject I approach with passion. I have WRITTEN ABOUT IT before and even made up a VIDEO of my own about it. I know not everybody agrees with me on this as it is obvious by the flags they choose to fly and by the position they have them at. Safety flags can be quite effective and eye catching or they can be quite ineffective. 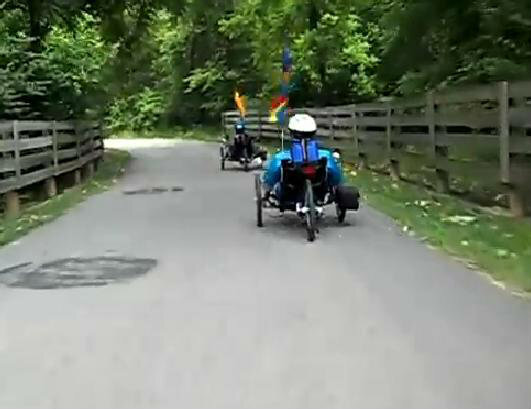 In this video embedded below I captured a screenshot of two trikes in the front of the camera. Both are flying safety flags. One is barely flapping while the other is flapping vigorously. One is farther away than the other. The one which is most visible and eye catching is not the one which is flapping the most or closest. It is the one flapping the least and furthest away. How can this be? Color! The yellow flag stands out far better than the multi-color (blue, white, red and yellow) one. Look for this fairly early on in the video. Normally the flags that flap around a lot are more eye catching, but if the colors are not all that noticeable than the flapping doesn’t accomplish all that much good. You can see this in the video. Nope, I just don’t get it. Why bother? Why spend the money to fly a flag that doesn’t show up? I mean the whole idea of a safety flag is to help others see you. If is for your safety … hence, it is called a safety flag. Flags might be pretty to look at, but if they are not eye catching … well, what can I say? It’s your funeral as they say. 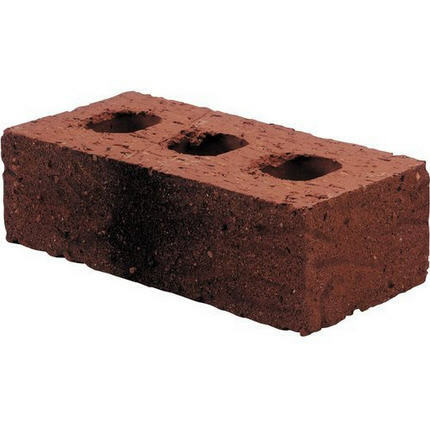 I know there will be many who spurn what I am saying. They might even get upset with me. I know many will go on ignoring what I am saying. But if just a few trike riders wake up to this and do something to help others see them it will be worthwhile getting others upset with me. While I am at it I see some trikers fly their flags down real low. I assume they do so trying to keep wind resistance down. I guess they have it in their minds that this is going to slow them down a half a mile an hour and they can’t have that. Again, I don’t get it. Why bother at all? If your flag isn’t going be placed where it is noticed then you might as well not even have one. No, I am not talking about 50 mph … not speed of travel, although ummmm, could be! 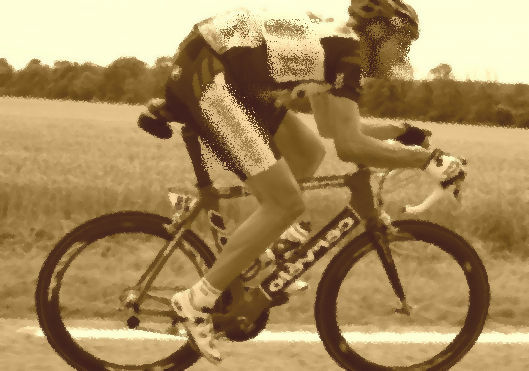 Rather I am talking about age and the ability to still go fast as we age … 50 and well beyond. I am quite sure that the majority of us would readily admit that we have slowed down as we have aged. We can no longer do what we could when we were younger. Still there are a small number of us cycling who “still have it”. At least they say they do. I am in no position to argue the point. I will take their word for it. All I know is I am not among them. I am thankful I am still able to ride at whatever speed I can travel. This subject matter came up thru a posting on a Facebook group I am a member of. HERE is a link to the webpage concerning this. In these pictures below I have no idea of the ages of these guys racing, but I show them simply to convey that people do race and go fast competing on tadpole trikes. Sometimes they even do pretty good against bicycles which is quite an accomplishment considering the extreme weight difference. And many of us know who David Bruce is. 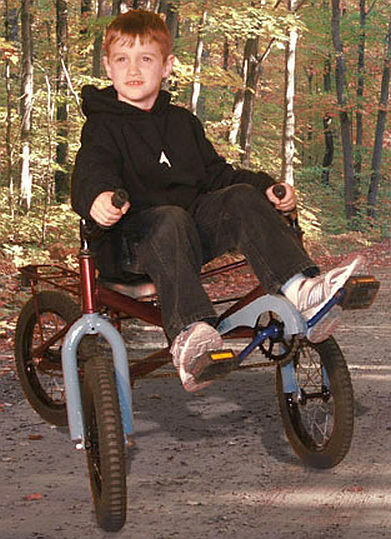 Among other things he is the designer and builder of front wheel drive tadpole trikes. Many of us know who Steve Greene is. I don’t think he will mind my talking about him … especially in a positive light. Steve is just a few years younger than I am. 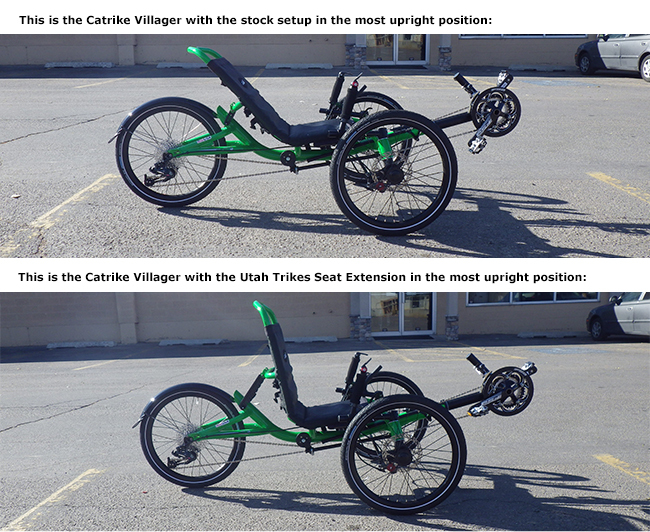 Just under a year ago he purchased a Catrike 700 and has written extensively about it on his Trike Asylum blog. Steve works hard to live healthy and keep in good physical condition. I applaud him for this. I tried to go the vegetarian route, but it wasn’t for me. I missed eating meats and certain other foods and got quite tired of eating vegetables, fruits and nuts only. 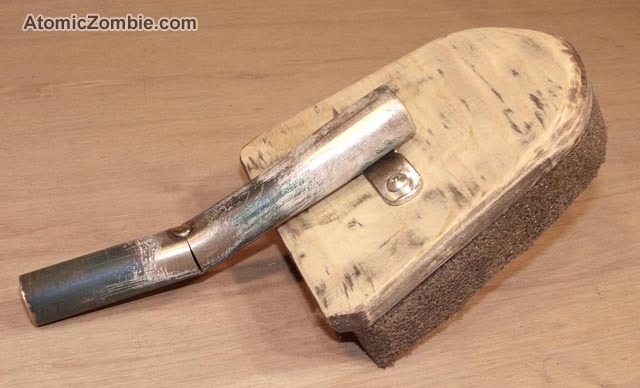 Anyway, Steve says he has been able to get his 700 going at a pretty good clip. I am sure he would be the first to say that he isn’t the fastest rider around, but never the less compared to me and many others he flies. When I saw this posting on Facebook a few minutes ago I said to myself, “Self, you just have to post this on the blog”. 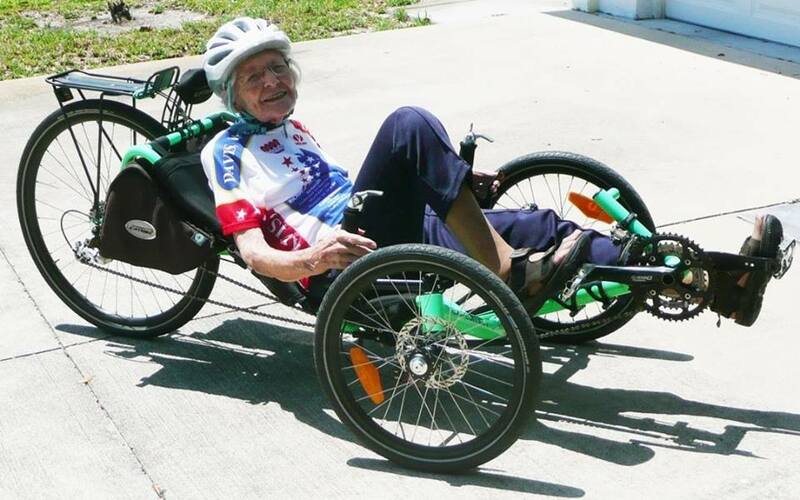 Phyllis Harmon: The grande dame of biking is still riding at age 94. 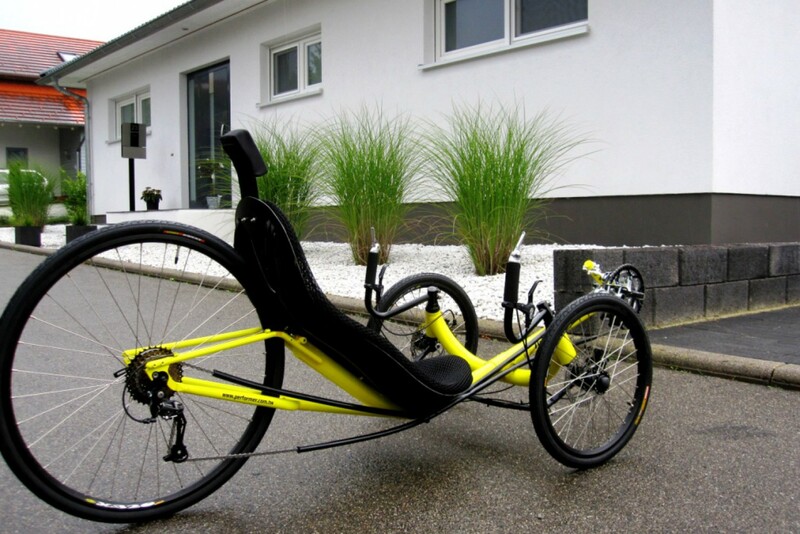 In the linked article, she is riding a Catrike..!! 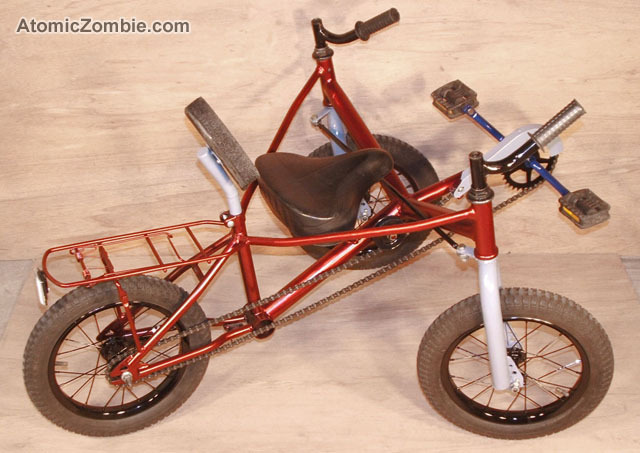 As I look at my tadpole trike I can’t help but think of the famous words … “How do I love thee? Let me count the ways”. 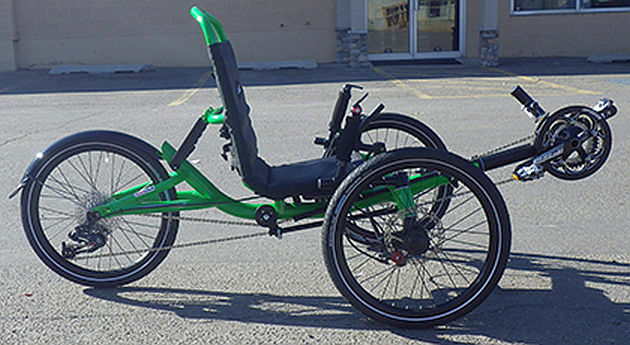 Like most tadpole trike riders I have a lifetime of riding bicycles … road bikes and mountain bikes and finally for only a relatively short time recumbent bikes before I took to tadpole trikes. When I think about road bikes and mountain bikes the first thing that comes to mind now is the extreme discomfort and misery of riding them. 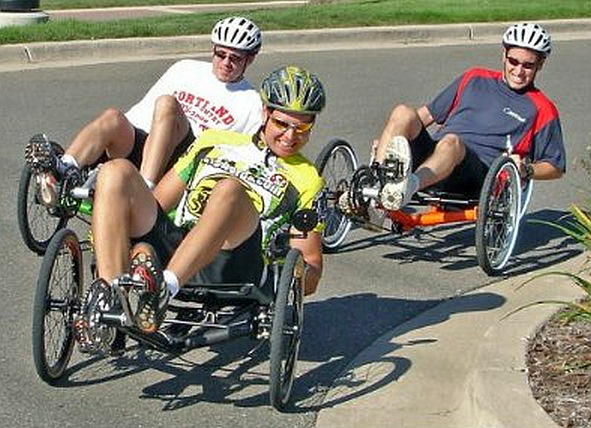 And when I think of riding a recumbent bike or trike (even more so a trike) I think of just the opposite … extreme comfort and enjoyment. So to start off with probably the most obvious thing is the seats of each. My, doesn’t he look comfortable? And I say again, doesn’t he look comfortable (and happy)? Definitely he does not look like he is in any kind of misery. 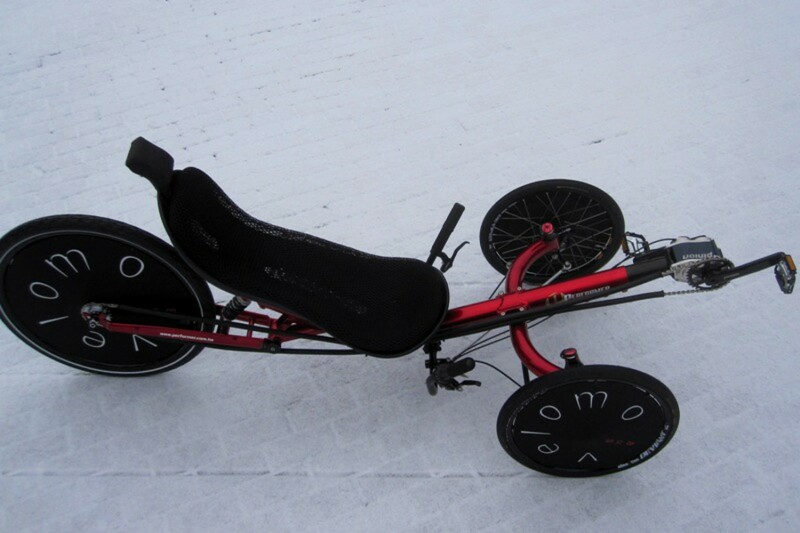 Here is a video about the ICE tadpole trike rear elastomer suspension system used on their Adventure and Sprint models. It explains the 3 different elastomers and how to adjust the suspension. The front and rear suspension can both be fine-tuned to work well for you. The rear suspension can be adjusted by a combination of selecting one of three different hardness and five different fitting positions for the elastomer. 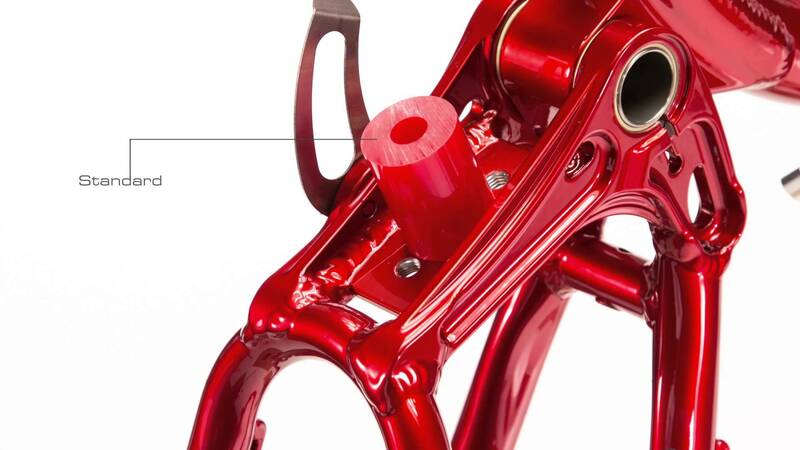 The front suspension can be adjusted by selecting one of three different hardness elastomers. 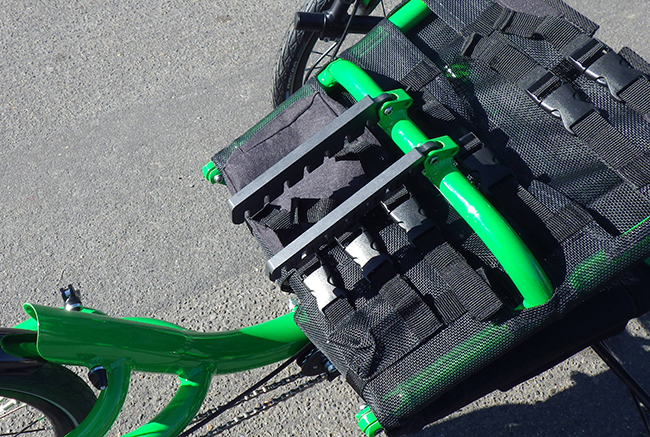 All trikes come with medium elastomers fitted to both front and rear suspensions. Other elastomers are available for purchase from ICE. The adjustment is accomplished by the selection of elastomers and mounting positions. The elastomers are available in three hardnesses: Yellow/Soft, Red/Medium, Green/Hard. 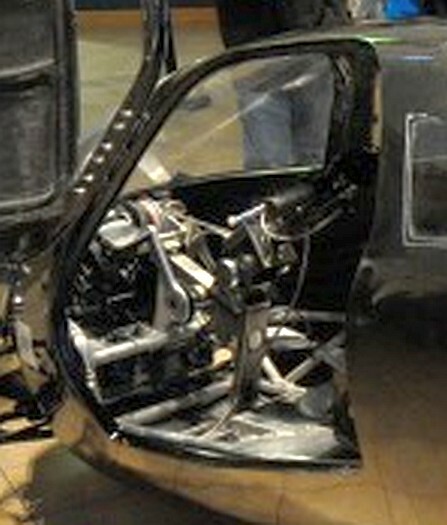 There are five mounting positions; the lowest/closest to the main pivot (numbered 1 here) will make the suspension feel softer. The highest/furthest from the main pivot position (5) will make the suspension feel harder. To setup the suspension you will need to select an elastomer and position it by using the table below. 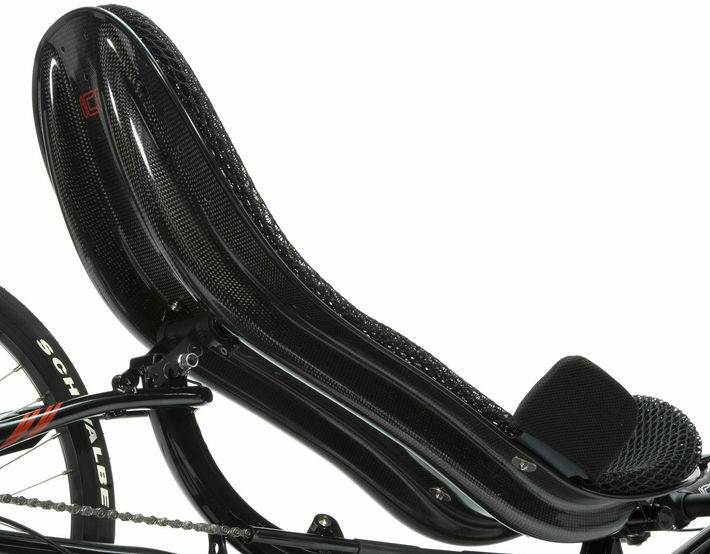 Unclip the rear suspension by pulling the stainless steel clip on the left hand side over its pin. 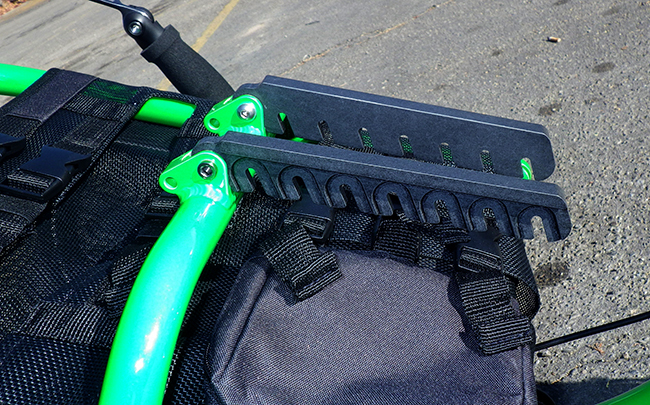 The purpose of this clip is to keep the rear swing arm from dangling when the trike is picked up; it is only unclipped when changing the elastomer. 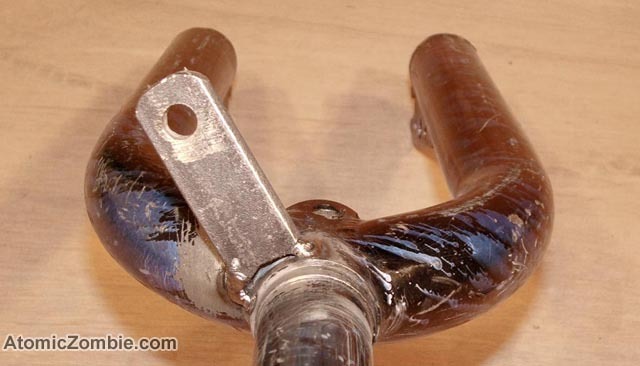 The elastomer is removed by pulling and twisting it off the shock pin. With the back end hinged open, screw the shock pin into the required hole in the shock plate. 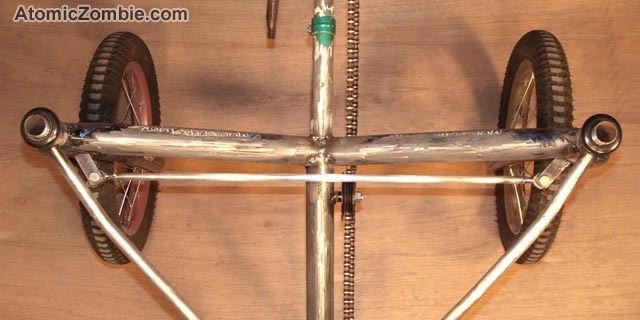 Firmly push the elastomer back onto the pin and close the swing arm back onto the stainless steel clip. The position you have selected using the table above will give you a good starting point. 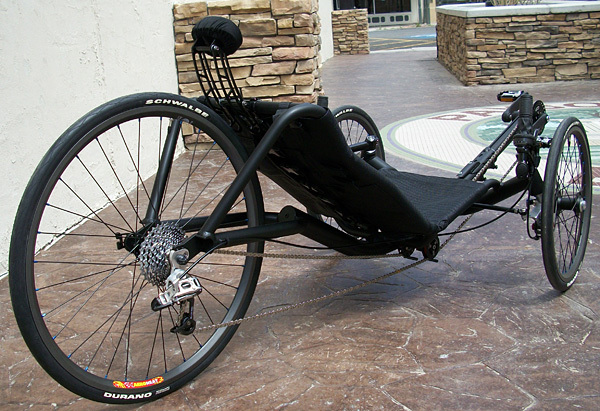 Your trike should perform properly like this; however, it is worthwhile spending a little time experimenting with settings to find one that suits you best. The elastomers have different compression characteristics, and you may find other combinations of elastomer hardness and pin position which suit the roads you ride on and your riding style better; it is just a matter of trying different combinations. The elastomer system is simple and small enough that you can carry a couple of elastomers in your bag and change them when you are out on a ride if you like. 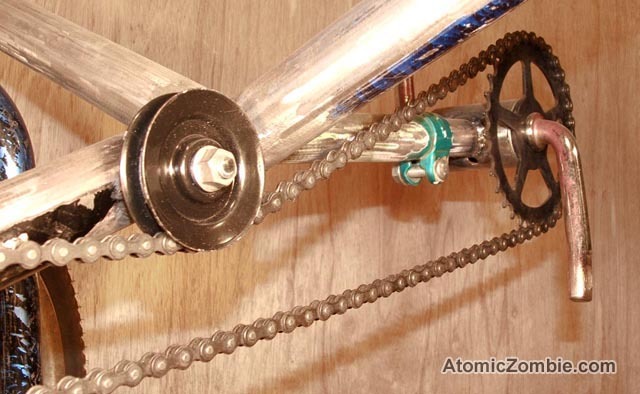 If you ride on rough terrain or ride aggressively, you may benefit from a harder elastomer. 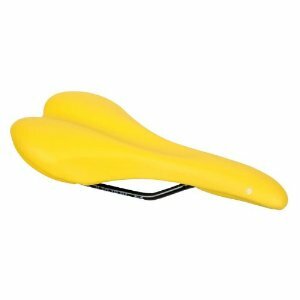 If you are a leisurely rider, who rides predominantly on smooth tarmac, you may be able to use a softer elastomer. 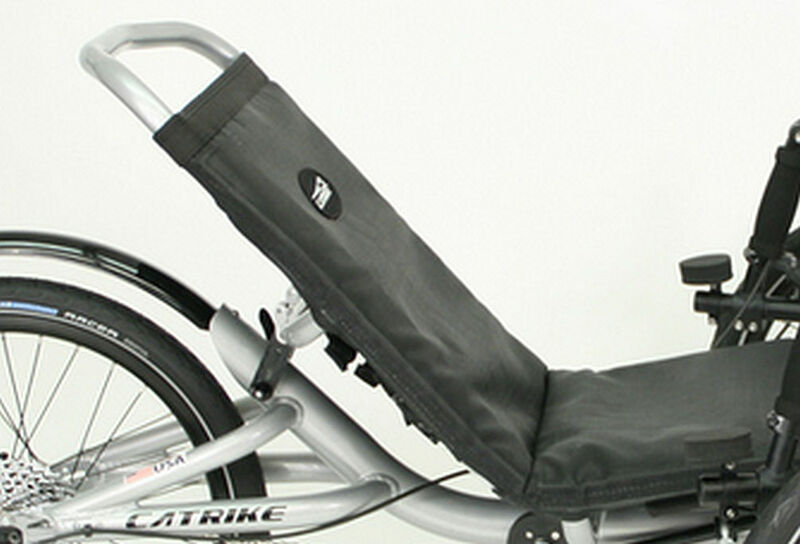 If the setup is too soft the trike may not reach its optimised comfort setting. If it is too hard comfort will be compromised. You should generally get a better result with the hardest elastomer recommended for your weight, for example if your weight is 90kg use the green elastomer in position 2 rather than red in position 4. 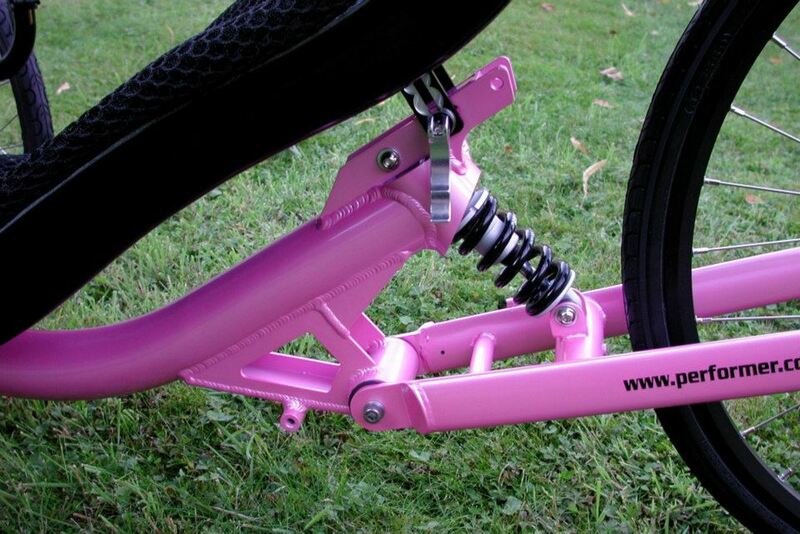 If you are a light rider and have your suspension setup soft it is advisable to adjust it to a firmer setting; change for a harder elastomer if necessary before allowing a significantly heavier rider to sit on your trike, otherwise permanent damage to the elastomer may occur. With rear or full suspension, tyres can be run at higher pressure while maintaining good comfort. Contrary to popular belief, elastomers do not significantly change stiffness with lower or higher temperatures. 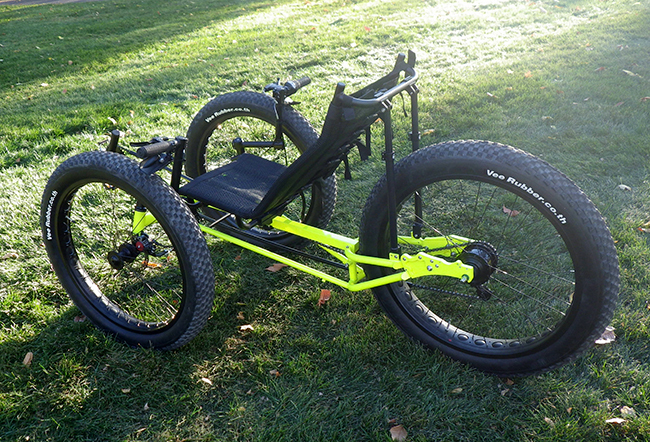 Recently on Tadpole Riders Group on Facebook a new member who just joined posted a picture of his trike. I had never seen one like it before so I took a closer look. It is a Velomo and is made in Berlin, Germany. HERE is a link to their nice Facebook page. As you can see they offer various models including tiller type steering, indirect steering, both hard and mesh seats, both high and low seat height and rear suspension . 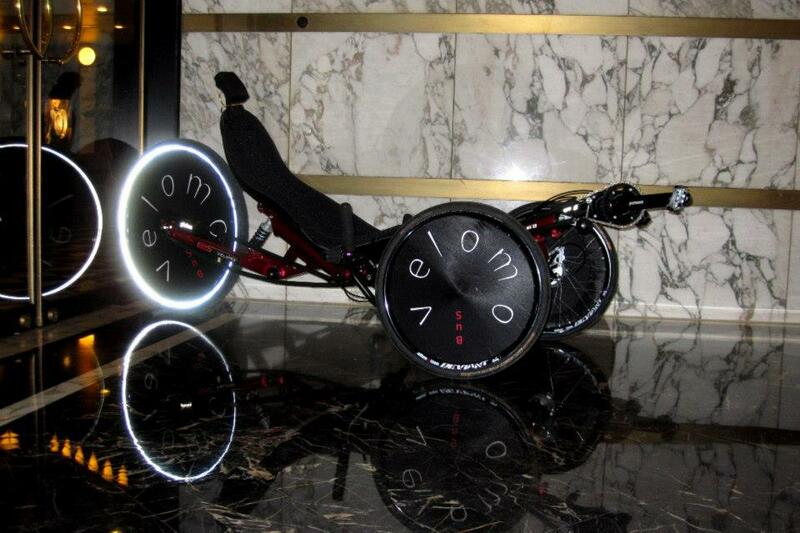 Now you know as much about Velomo trikes as I do. I was watching some videos on YouTube of our local trails here in Fort Wayne, Indiana when I came across this one which sort of caught my eye … probably because of the fact it was in Autumn with the leaves on the trees changing colors which is always so pretty. The colors certainly are not breathtaking as they are some years, but they are still pleasing to see. Anyway, I thought I would share it so others could enjoy it as well. 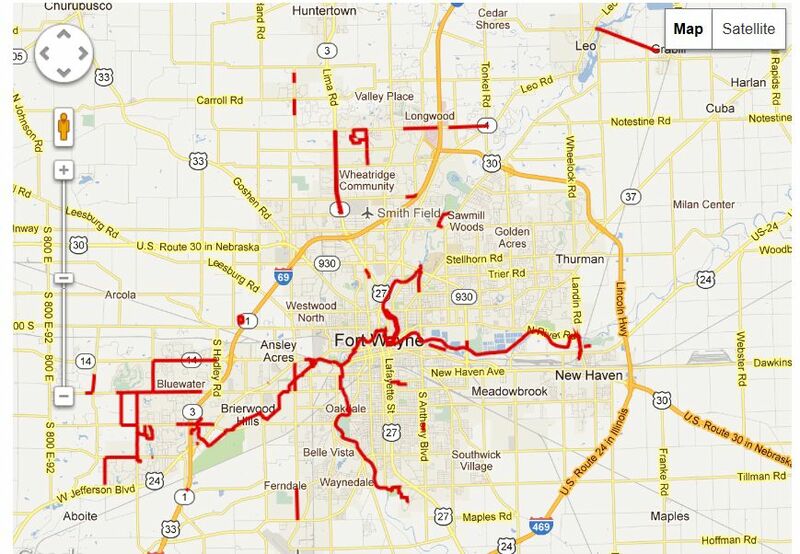 Fort Wayne’s original trail system known as the Rivergreenway are trails built which follow along the three rivers here in Fort Wayne. This video features the St. Marys Pathway which follows along the St. Marys River. Here is a map of our current trail system. It is not quite up to date as there have been a few short sections added since this map was created. The trails are represented by the red lines. We presently have just over 100 miles of trails completed. And more miles are planned and slowly materializing. The St. Marys Pathway is the north-south trail in the middle of the map toward the bottom.